Home / Playstation 3 game manuals / MotorStorm :. MotorStorm manual Just click to open it in a new window then print the manual. 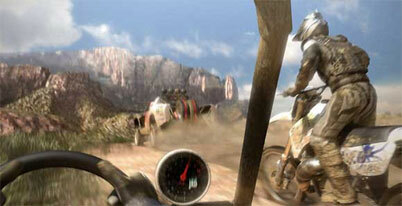 Outside of existing franchises like Metal Gear Solid, Killzone and Final Fantasy, perhaps the biggest and most anticipated game coming to the PlayStation 3 has been MotorStorm. After the extremely impressive, but fully CG, trailer that was shown at E3 during the system's first unveiling, PlayStation fans worldwide have been waiting to see if the final product could live up to the target render. The downloadable PlayStation Store demo gave gamers a taste of what was to come, but the full release is finally upon us.